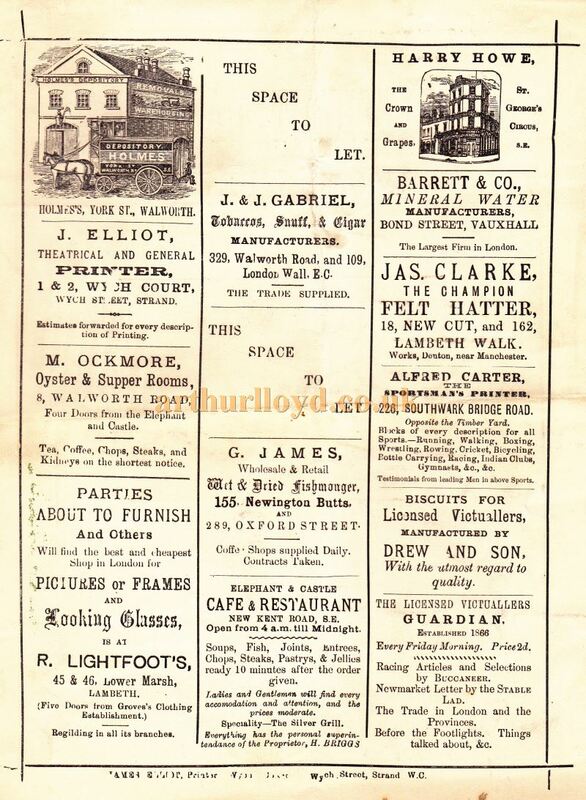 Above - A Music Hall Programme for the South London Palace for the 23rd of March 1885. 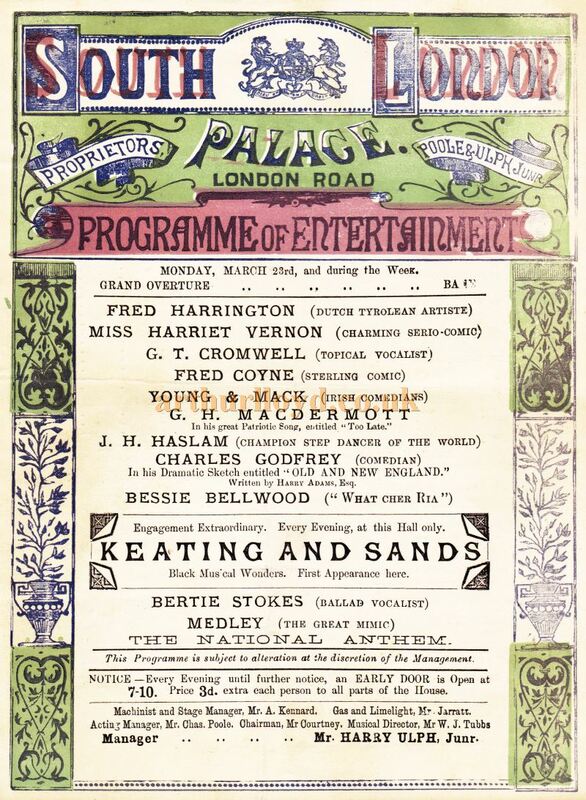 On the Bill were Fred Harrington, Harriet Vernon, G. T. Cromwell, Fred Coyne, Young & Mack, G. H. Macdermott, J. H. Haslam, Charles Godfrey, Bessie Bellwood, Berttie Stokes, and Keating And Sands. 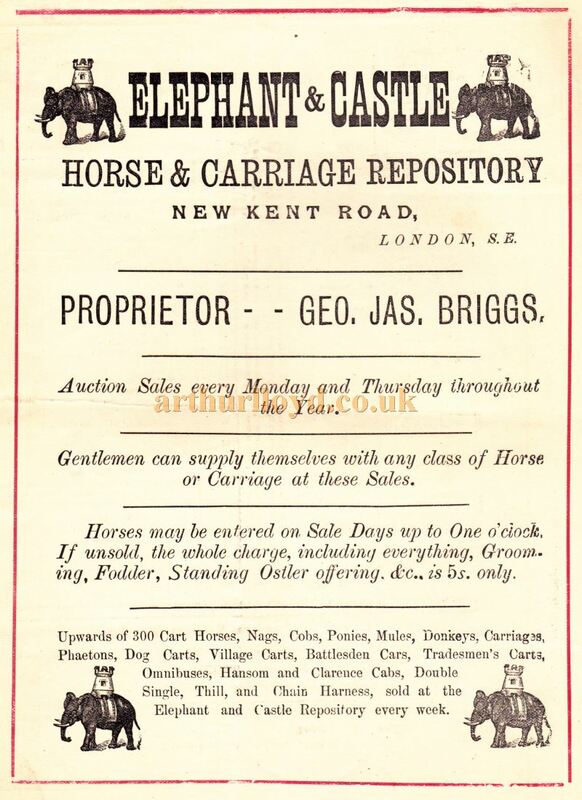 Note: The Proprietors mentioned on this programme were Poole & Ulph Junior. 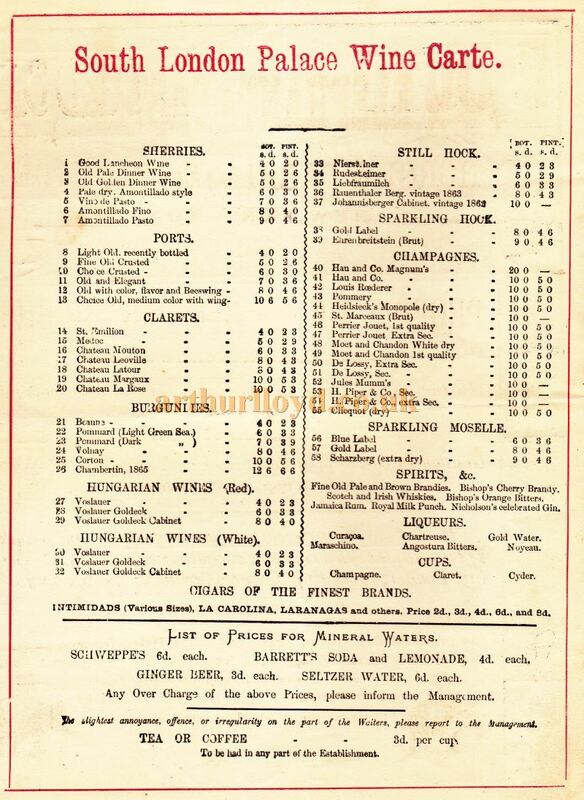 Mrs J. J. Poole and Harry Ulph Junior were joint proprietors of the Theatre after John J. Poole's death in 1882 until December 20th 1886 when Mrs J. J. (Ellen) Poole took over the sole ownership. Harry Ulph Jnr. was also the manager from 82-86. - This information courtesy Virginia Russell.